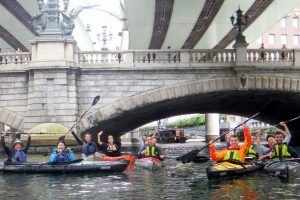 Tokyo Great Kayaking Tour (TGKT) is an urban kayaking tour exploring canals at the heart of Tokyo. 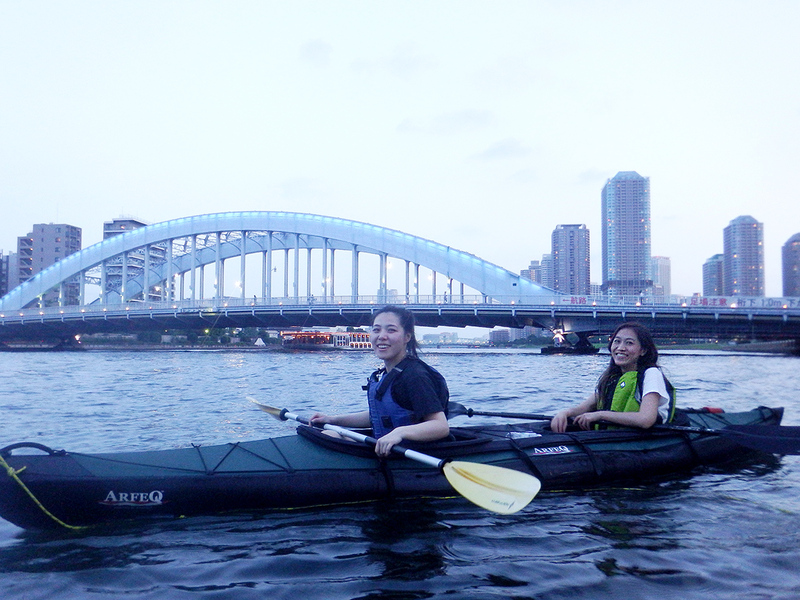 Paddling and drifting along, you will feel relaxed and almost forget you are in the big city. A great photo shooting chance as well. 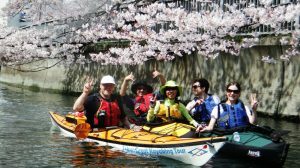 During spring, the cherry blossom trees along the river and canals will treat you as a VIP guest! 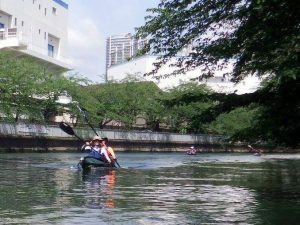 Kayaking in the summer will offer cool breezes and in the autummn you will find the leaves on the trees changing their color to yellow and red. 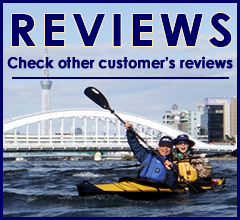 Please participate our tour and enjoy this unique experience with us! 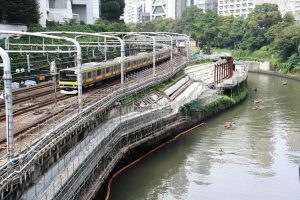 The start and finish time for tours differ depending on the tidal level. So please check our tour calendar or Facebook page for the details. Please check our tour calendar or send us an email for the availability.